Currently, Pixpa supports only one set of product options per product. 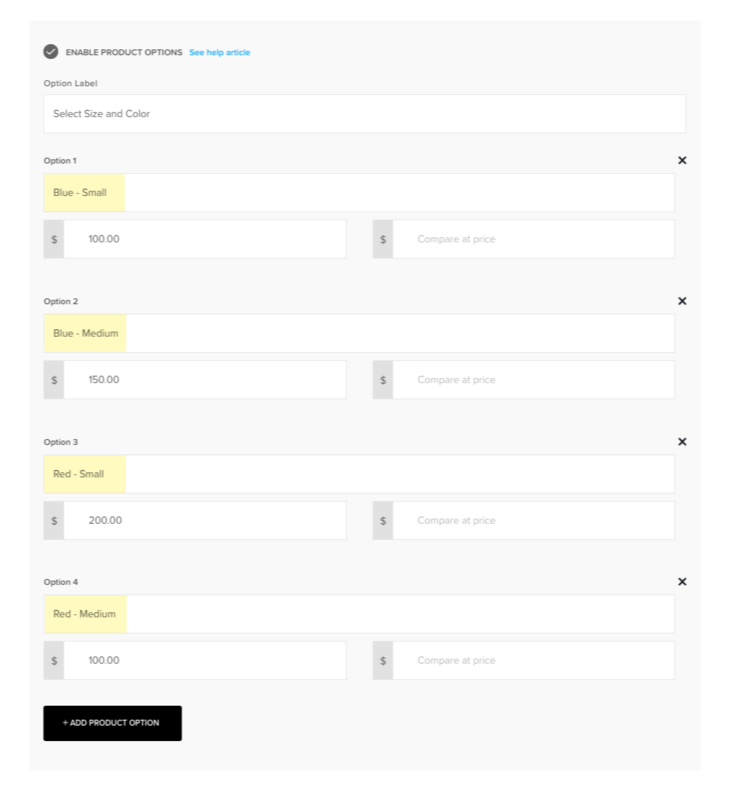 For example, for t-shirts, you can add a product option dropdown for sizes OR for colours. You can’t add both the sizes and colours as options in the same product. Click here to know more about product options. Or, you can create two products – a Blue T-shirt and a Red t-shirt, each with the size product variant with two options – Small and Medium. Click here to see how to create a new product.